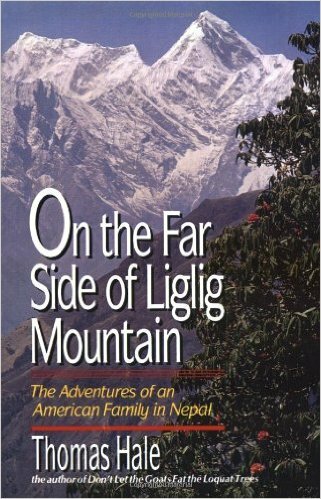 On the Far Side of Liglig Mountain is a book that will take you lands away to the mysterious “closed” kingdom of Nepal, where its author, Thomas Hale, and his wife, Cynthia, struggled to serve God as medical doctors. With beguiling humor and humility, Dr. Hale recounts his often amazing (and sometimes almost unbelievable) experiences in bringing western medicine to people who distrust — even fear — the introduction of ideas different from their own. He and his family worked as a team to dispel that distrust and fear, and in the process experienced incredible adventures. On the Far Side of Liglig Mountain is a book about – faith and courage – laughter and loving your neighbor – the hardships and the blessings of self-denial — a book that you will not easily lay aside. Just as he has gained the trust and affection of his Nepalese patients and neighbors by his love for people and his eagerness to share his love of Christ, Thomas Hale will captivate the reader with his intriguing account of the joys and realities of ministering to the human condition. From the publisher.